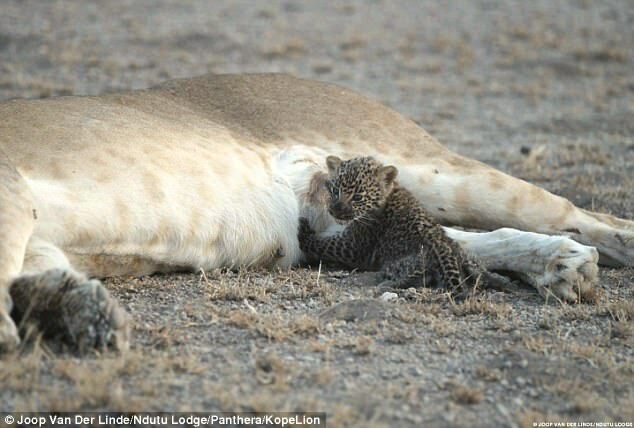 Most lionesses would kill a baby leopard as they are direct competition in the food chain, but this attentive mother has taken in this tiny spotted cub. Wildlife experts say this particular inter-species suckling has never been seen before. 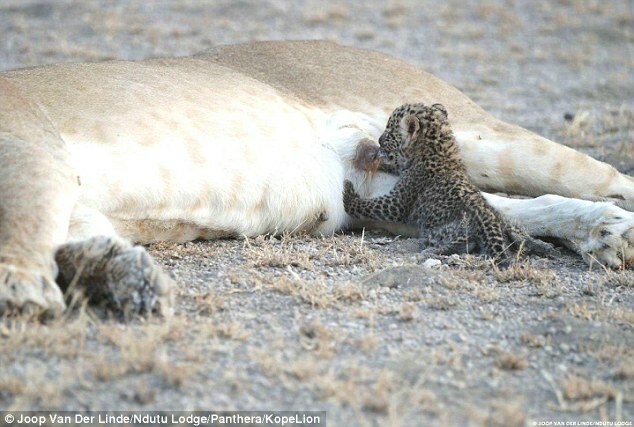 Mother Nosikitok was found with the little cub around a kilometre from her den where her own cubs were hidden in Tanzania's Ngorongoro Wildlife Conservation Area. As well as nursing her adopted baby, five-year-old mother Nosikitok has three small cubs of her own to feed who were born around June 28. 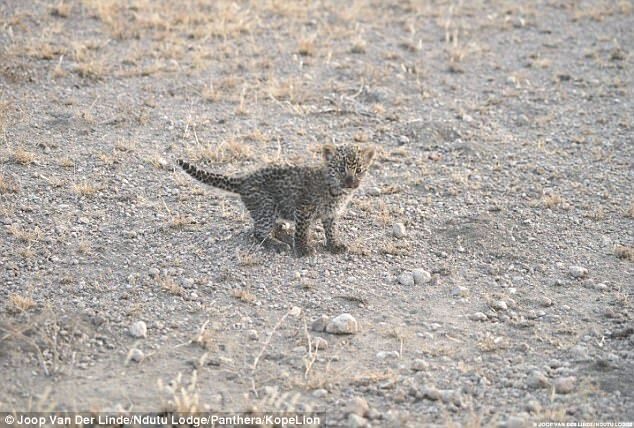 Like this adorable leopard cub they are around two to three weeks old. 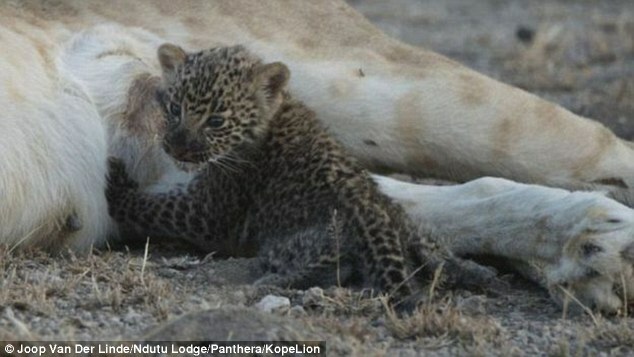 It is unclear where the baby leopard's mother is and if Nosikitok will take the vulnerable youngster on full-time, according to the BBC. 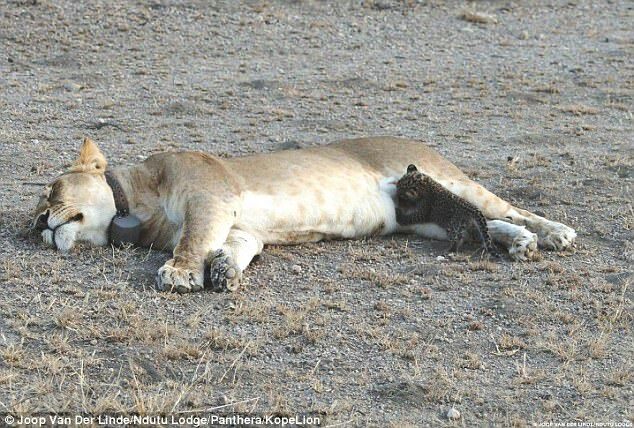 'It's not something that I'm aware has ever happened before between large cats like this,' Dr Luke Hunter, President and Chief Conservation Officer for global cat conservation organisation Panthera said. 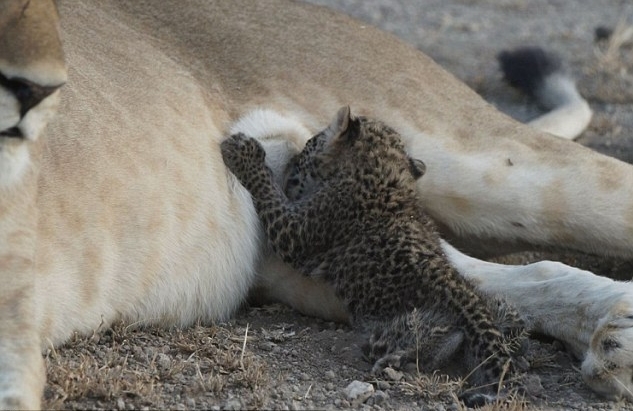 'We know there are cases where lionesses will adopt other lion cubs... But this is unprecedented. 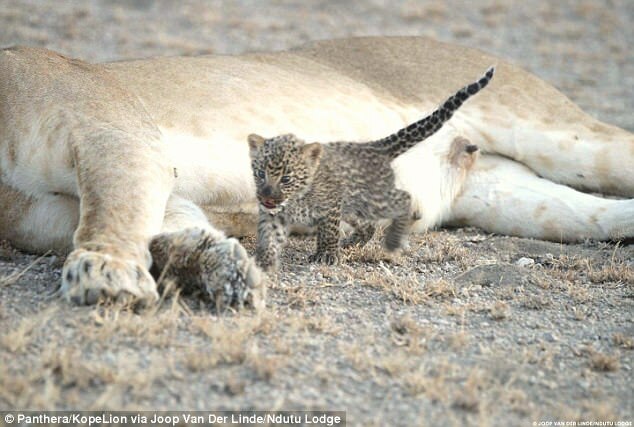 Dr Hunter described lionesses as 'formidable mums' who are both very fierce and protective. Because Nosikitok had recently given birth to her own cubs Dr Hunter said she would be 'absolutely awash with maternal hormones and that instinct to take care of her own babies'. 'This incredible act of motherly love simply wouldn't have happened if she wasn't suckling her own babies', he said. 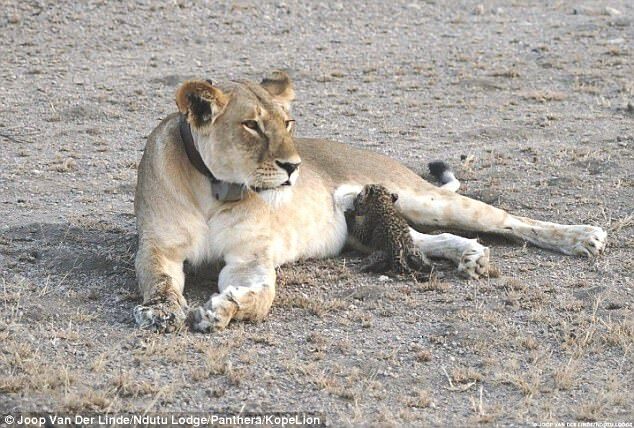 Responses to "Wild lioness nursing a baby leopard for the first time in a 'truly unique' act of love"